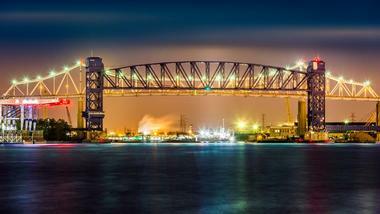 New Jersey is a popular East Coast vacation destination. 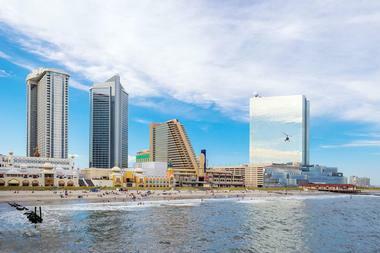 From Jersey City, the gateway to Ellis Island, the Immigration Museum, and the iconic Statue of Liberty, to Atlantic City with its glamour on par with Las Vegas, and the Jersey Shore with 130 miles of Atlantic coastline, New Jersey has a special personality all its own. 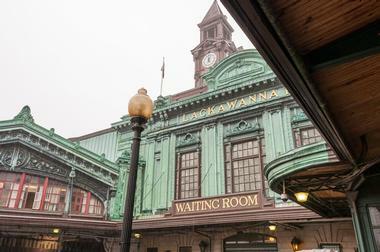 Here are the best places to visit in New Jersey. Atlantic City is known for being the entertainment hub of New Jersey, where visitors go to enjoy a wide array of gaming opportunities. This active and lively city offers a little something for everyone all year round. 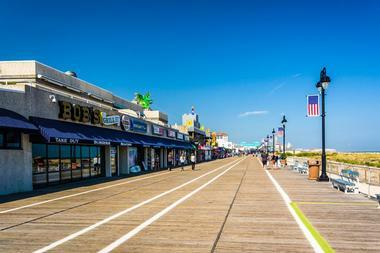 Located on the Jersey Shore, guests can walk along the iconic Boardwalk featuring rides, games, world-class restaurants, and bars. 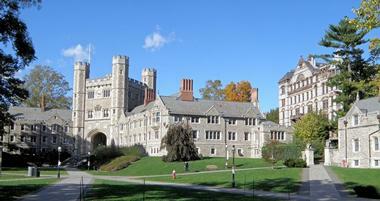 Princeton is a city rich in culture and known for remarkable monuments, stunning parks, and quaint old-time shopping villages. A wide variety of museums and internationally acclaimed music and theater performances provide entertainment for all visitors. Newark is the second largest city in New Jersey and offers a wide variety of attractions for those living in or visiting the city. Known for having the biggest collection of cherry blossom trees in the United States, its natural beauty is its biggest attraction. 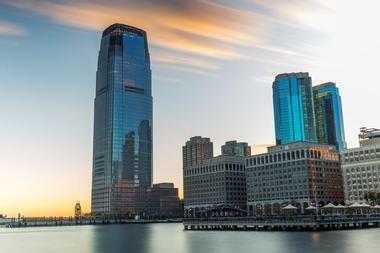 Jersey City, the most rapidly growing city in the state of New Jersey, became its largest city in 2016. With this growth came a growing number of attractions and activities. World-class restaurants, an assortment of galleries, dozens of parks, pristine cultural sites, and a thriving art scene are just a few of the big draws. 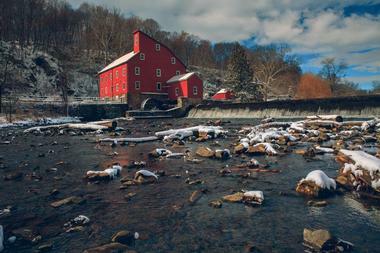 The Raritan River cuts through the picturesque town of Clinton, New Jersey, spanned by an 1870 iron bridge. 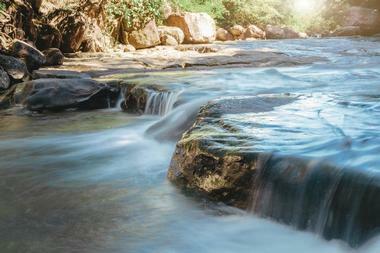 The view from the bridge is of a 200-foot-wide waterfall. On either side of the bridge are two repurposed grist mills; on one side, the Hunterdon Historical Museum, and on the other, the Hunterdon Art Museum. The historical museum sits on the 10-acre Red Mill Museum Village and displays over 40,000 historical artifacts. Other highlights of the museum village are the Mulligan quarry buildings, an old schoolhouse, and a log cabin. The stone mill on the opposite side is home to the Hunterdon Art Museum, where visitors enjoy a collection of contemporary art and an active art education center. Boonton is famous for being a significant link along the Underground Railroad that helped 40,000 slaves escape to their freedom in Canada. Many noteworthy abolitionists vigorously undertook their anti-slavery work from this small town. The town’s immigrant population grew up around Boonton Falls – as impressive as Paterson Great Falls – which powered the iron industry here. Boonton is also the original home of the classic Boontonware melamine tableware. Today, visitors will appreciate the town’s antique stores, eclectic restaurants, and natural beauty. Grace Lord Park, with its falls, fountain, and gazebo, is the town’s gathering place for summer concerts and other events. A small seaside New Jersey coastal town, in the late 19th century Asbury Park was a popular destination for fun on its magnificent sandy beaches and fantastic entertainment. Its famous beachfront boardwalk was the place to see and be seen and was lined with all kinds of shops, restaurants, arcades, and cafes. Asbury also saw Jon Bon Jovi and Bruce Springsteen launch their careers from the renowned Stone Pony theatre. 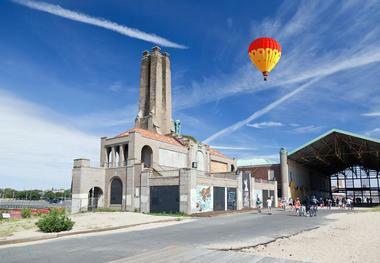 Now, after years of neglect and decline, Asbury is experiencing a well-deserved revival. 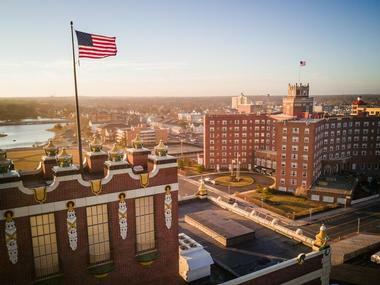 Only 60 miles from New York City, Asbury is again the place where New Yorkers come to have fun or to live. The beach is full of sun worshipers, new construction is attracting young professionals with reasonable prices for waterfront living, and the city’s landmarks, such as the Convention Hall and Paramount Theatre, are being renovated and reopened. The famous boardwalk is once again lively, crowded, and fun, while the new restaurants are attracting city foodies and the art galleries are bringing in the city jet-setters. 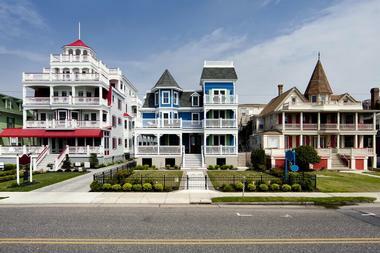 Wildwoods, New Jersey, is one of the best vacation spots for families in the United States. The beaches in this area cover five miles and draw in over 9 million visitors a year. 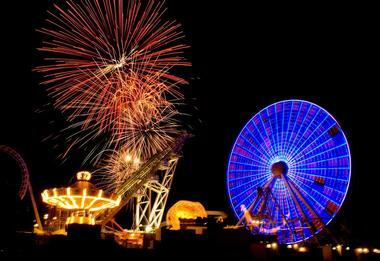 The biggest attraction is the iconic Wildwoods boardwalk, covering a whopping 38 blocks and offering attraction after attraction along the way. Water parks, mouthwatering eateries, and live entertainment line the boardwalk. 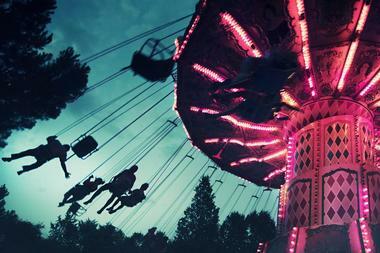 In addition, there are several amusement piers that offer more than 100 rides along the way. Off the boardwalk, visitors can experience a wide range of water activities: surfing, deep sea and pier fishing, sailing, boating, and more. Historic Cape May is a sleepy little beach town that offers a wide range of activities throughout the year and is one of the best places to go in NJ. When the sun is out, visitors can enjoy beach activities such as boating, sailing, and visiting the Cape May Lighthouse. Tasting the wines at the Willow Creek Winery, hitting a round at the Cape May National Golf Club, or visiting the Cape May County Zoo are also ideal. Elizabeth, New Jersey, is the fourth largest city in the state and its roots can be traced back all the way to the founding of the nation. Visitors can take a stroll through Historic Midtown Elizabeth, where there are more that twelve historical sites highlighting the days leading to the founding of the country. Elizabeth is also known for having more than 40 parks; Warinanco, Mattano, and the Veteran’s Memorial Waterfront are the three most notable. Warinanco was designed by the landscaper who designed Central Park in NYC and is diverse and beautiful in equal parts. Asbury Park is a historic beachside town located in New Jersey and is known to have one of the premier beaches in the state. Visitors will find a wide range of sand and water activities, along with a revamped boardwalk that features original shops, unique restaurants with scenic views, and the iconic Paramount Theater Convention Hall. Asbury Park has a legendary entertainment scene with big name musical shows at Stone Pony, plus two theatre companies that offer shows from classic Broadway to New Age. Asbury’s annual events attract crowds to the AB Restaurant Tour, Oysterfest, and New Jersey Zombie Walk. Of course, with a name like Seaside Heights, beaches would be a main attraction. Their popular award-winning, white-sand beach is seasonally life-guard protected for family fun. Another major attraction here is the boardwalk promenade, with its array of pubs, shops, eateries, and arcades. Along the boardwalk, Casino Pier thrills families with an amusement park, miniature golf course, waterpark, and state-of-the-art casino arcade. On the town’s quieter northern end, visitors can swim another lifeguard protected beach, fish or crab from one of two docks, or rent a variety of water crafts from water trampolines to water bikes and motor boats. For its 150th birthday in 2009, the 1859 Barnegat Lighthouse was illuminated for the first time since 1927. Visitors willing to climb the 217 steps to the top are rewarded with panoramic views of Barnegat Bay, Island Beach, and Long Beach Island. Others can savor the view from the ground via live video feeds from atop the lighthouse at the Barnegat Lighthouse Interpretive Center, where they will learn the history of the lighthouse and the surrounding natural coastal environment. Other park activities include hiking the self-guided trail through Maritime Forest, picnicking, sunbathing, saltwater fishing, bird watching, and wildlife viewing. Ocean City is a waterside oasis with more than 8 miles of sandy ocean and bay-front beaches that offer a variety of water activities from stand-up paddleboarding to jet skiing. Visitors can rent a small craft, charter a boat, or take a pleasure cruise, among many other things. 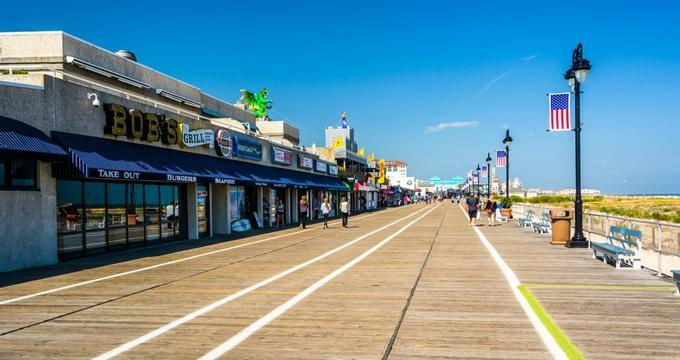 In addition, the Ocean City Boardwalk, featuring shops, restaurants, and amusement park attractions, is a must-see that draws in hundreds of thousands of visitors each year. Ocean City also offers a wide variety of tours, from high up in the sky to roaming downriver, as well as fun seasonal activities like whale watching. 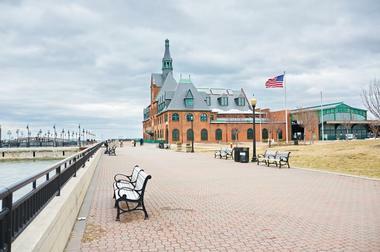 Lincoln State Park in Jersey City is one of the most breathtaking parks in the nation. Its exceptional beauty has as much to do with its lush greenery as with its unique backdrop featuring Ellis Island, the Manhattan skyline, and the Statue of Liberty. There are several miles of walkways where visitors can walk, bike, jog, and run. Partake in water activities like fishing, crabbing, kayaking, boating, ferry cruises, and more. One of the more somber sights is the Empty Sky 9/11 Memorial that acknowledges the many people lost in the tragic Twin Towers attack and who were connected to New Jersey. 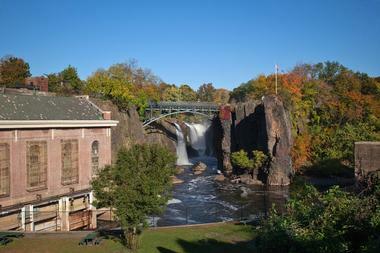 The Great Falls of the Passaic River, a National Natural Landmark, is the premier attraction at Paterson Great Falls. Visitors and photographers may want to get a panoramic view of it from Overlook Park, or they may prefer a close-up, multi-sensory experience in the misty spray of the falls at Mary Ellen Kramer Park. There is a guided tour of the park where guests can learn about the town’s industrial heritage, or visitors can opt for a self-guided tour with the aid of a free downloadable smartphone app. 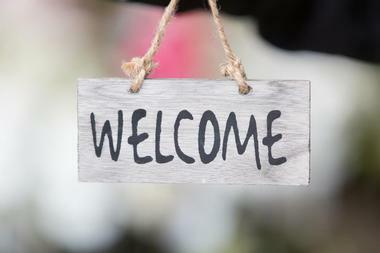 The Welcome Center is ready to assist guests mid-May through the end of November. 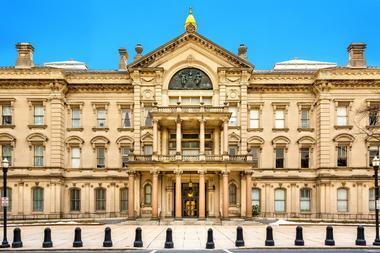 History buffs will appreciate the area around the state capital’s New Jersey State House. The New Jersey State Museum is a must-see complex that includes fine arts and natural history collections along with a planetarium. The neighborhood also includes the New Jersey World War II Memorial, and the War Memorial in honor of World War I veterans. The War Memorial is also home to the Patriots Theater, where world-class entertainers often perform. 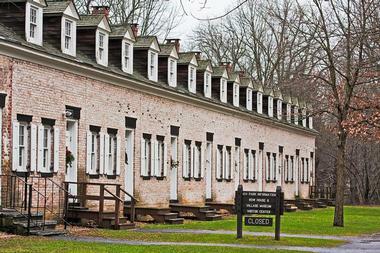 The nearby Old Barracks Museum showcases war barracks from the French and Indian War and the American Revolutionary War. Besides its historical treasures, Trenton hosts the New York Yankee’s farm team, the Trenton Thunder. Island Beach State Park is one of the last remaining barrier islands along New Jersey’s Atlantic Coast. 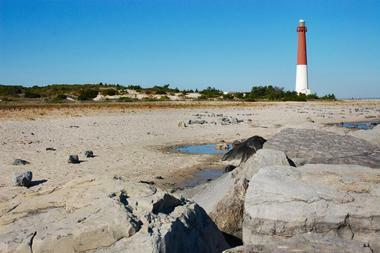 This narrow 3,000-acre park stretches for 10 miles between the Atlantic and Barnegat Bay. The island’s sand dunes, wetlands, and tidal marshes along the bayside provide a habitat for ospreys, falcons, waterfowl, and shorebirds, making it a good place to bird watch and fish. Naturalists offer seasonal kayak and canoe trips. Ocean-facing white-sand beaches with concessions and facilities offer swimming, fishing, picnicking, sailboarding, and surfing opportunities. There are hiking and biking trails on the island, and horseback riding is permitted during the off season. Hoboken has the distinction of being named the most walkable city in the nation, but with miles of bike lanes and their Bronze Bike-Friendly status, biking works too. A 2-hour walking tour of the picturesque town takes visitors to Castle Point Lookout with panoramic views of New York City; the charming downtown Main Street with independent shops, boutiques, restaurants, and bakeries; and Waterfront Walkway, a multi-use recreational promenade. 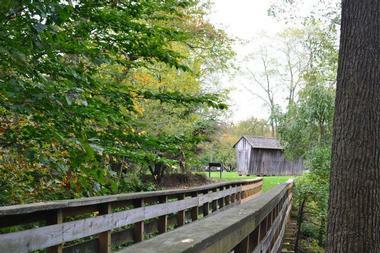 The highlight of Allaire State Park is Allaire Village, a 19th century bog iron community. Visitors can tour the blacksmith and carpentry shops, a general store, a church, and the manager’s and foreman’s houses. It’s best to start at the visitors’ center and museum to make the most of the tour. The village hosts living history and other events. 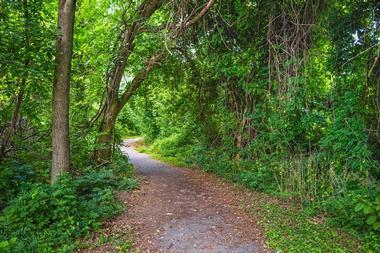 Allaire Park has an elaborate system of multi-use trails that weave over 800 acres with varying levels of difficulty. Other park activities are trout fishing in the Manasquan River, picnicking in the wooded area next to the village, canoeing, and camping. Pine Creek Railroad offers train rides in the park. South Mountain Reservation sits along the shores of the Passiac River in the Watchung Mountains. The reservation provides visitors with an environmental center along the Passiac River that has learning activities and programs, walking paths, numerous unique gardens, bee hives, a greenhouse, and river access for canoeing and kayaking. The reservation is crisscrossed with trails for hiking, biking, and horseback riding, and has plenty of space for picnicking. The South Mountain Recreational Complex on the reservation hosts the Codey Arena ice skating/hockey ice house, Safari mini-golf course, and The Waterfront children’s playground, Treetop Adventure aerial obstacle course, and is home to Turtle Back Zoo. Visitors will be hard-pressed to find a more beautiful natural environment than the Delaware Water Gap National Recreation Area. Within the 70,000-acre park, visitors are able to trek the Appalachian Trail 28 miles along Kittatinny Ridge, peer 1,000 feet into the depths of the Delaware Water Gap, and watch powerful waterfalls tumble over rocky cliffs. Anglers will love the excellent trout fishing. Liveries provide drop-off, pick-up, and equipment for kayaking, rafting, canoeing, and tubing the Delaware River. The list of outdoor activities in this recreational area is nearly endless, from rock climbing to horseback riding or taking a scenic drive. 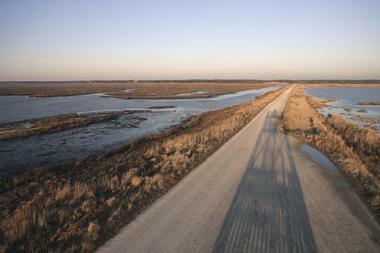 The Forsythe National Wildlife Refuge, located on the southern coast of New Jersey, is a 47,000-acre refuge designated for migratory birds on the Atlantic Flyway. Consequently, this area is special to both bird watchers and photographers. The refuge is also a stop for migrating monarch butterflies. Visitors will be enthralled by new wildlife at each change of the season. Hiking the winter trails reveals bald eagles, owls, and waterfowl diving for food. During spring, visitors can view nesting ospreys through telescopes at Osprey Outlook on the boardwalk. 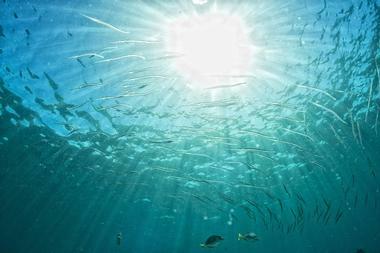 Summer and fall bring new species to observe. The visitor information center helps with trail, boardwalk, and driving information. Cherry Hill is filled with family-friendly activities, and one of the top attractions is the Garden State Discovery Museum – a science museum for children. The Playdrome, with excellent bowling lanes and an updated game room, and the Toy Train Emporium are two other favorites. Craft beer enthusiasts will enjoy Forgotten Boardwalk Brewing, which features tasting flights, and the Flying Fish Brewery, which also has a tap room and tasting flights. Visitors can shop away the hours at the luxurious Cherry Hill Mall or spend time in the great outdoors hiking, biking, walking, or running along one of the more than 10 trails in Cherry Hill.